The newly assembled prototype gizmo wouldn't start up. It took a while, but you finally found the problem with your scope, after noticing some signals had compromised logic levels. The continuity beeper confirmed the diagnosis that D7 is shorted to D6, somewhere on the PC board. All you have to do is find where the short is located. It shouldn't be too hard, since those two lines are only parallel for 15 inches, and only 4 of those inches are under chips or on inner layers . . .
No problem . . . Now, where did you put that ShortSniffer? The ShortSniffer locates short circuits in electronics circuits, projects, and and is specifically designed for working with fine-pitch surface mount PC boards. The ShortSniffer injects an audio current into a conductive circuit, allowing the current Path to be followed with the non-contact inductive pick-up Probe. The basic short circuit locating principle can be reproduced with a signal generator, an inductive pick-up coil, an amplifier, and a speaker. 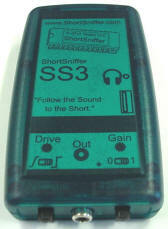 The ShortSniffer SS3 has been designed for convenience and optimized for PC board short circuit locating performance. 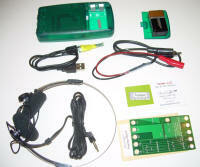 The ShortSniffer is not a short circuit detector, but a short circuit locator. You'll have to rely on your troubleshooting techniques to determine that you have a short circuit. You can check out the video presentation for some steps to determine which nets are shorted. Once you know which nets are shorted together, connect the ShortSniffer, and "follow the Sound to the Short". The original design was produced in the early 90s and has been used successfully ever since. I compliment myself for making it, every time I rapidly pinpoint a short. I have even fixed shorts on inner layers of PC boards, after first verifying the location to 1mm (radius), then drilling at that location. The newest design is the ShortSniffer SS3, which senses the direction of the current flow to help with some of the trickiest shorts. The inductive pick-up probe has an LED that lights to indicate direction, and the stereo headphone jack provide stereo imaging to indicate direction. Together, with the increased gain and drive features, the SS3 is your best PC Board short circuit locating choice. "follow the sound to the short"
Please note: Sales of the ShortSniffer products are handled by Cipher Engineering LLC. Clicking on the purchase links will open a new window on the Cipher Engineering website for the purchasing process. 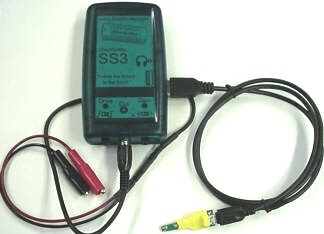 An alternate use of the SS3's high-gain amplifiers is using a voltage sensor for troubleshooting and tracing circuits, allowing you to hear signals above 10uV. 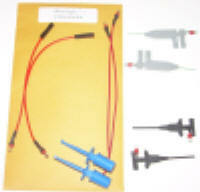 ShortSniffer SS3 products are constructed with ROHS materials, using Pb-Free solder. Warranty: 1 year, against defects in parts, materials, and workmanship. Click here to email a request for additional information or to ask questions. Your privacy will be protected. We won't give your name or information to anyone. Any private information you give to us will only be used to support our direct business relationship with you.